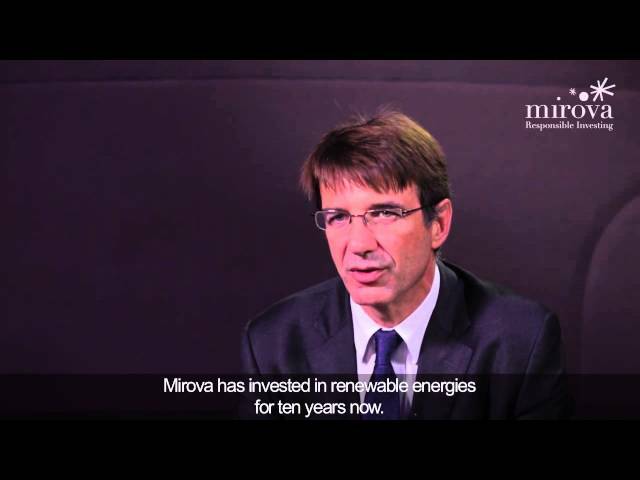 Mirova, an asset management company dedicated to responsible investment, today announced that the Mirova Environmental Europe Equity Fund, Mirova Green Bond–Global and Mirova-Eurofideme 3 funds have been awarded the new “Energy and Ecological Transition for Climate”, audited by Ernst & Young. Mirova’s three core flagship funds allow it to be recognised as a pioneering and demanding player in the financing of energy transition. The label was established by the French M to mobilise savings towards energy and environmental transition. It allows the identification of investment funds that finance the green economy, encourages the creation of new green funds, and facilitates reporting on the green part of corporate activities. Mirova Eurofideme 3 is a renewable energy infrastructure fund, totally dedicated to investment in clean energy. It invests in projects that produce energy from renewable resources (onshore wind, photovoltaic, hydro and cogeneration from biomass combustion) in Europe, both for future projects and those already in operation. It is the 3rd generation of Renewable Energy infrastructure funds developed by Mirova, which over the past 10 years has allowed the financing of 730 MW of new generating capacity and helped avoid 1.4 million tons of CO2 emissions. Mirova Green Bond - Global is a SICAV which invests in debt securities supporting energy and ecological transition, described as green bonds by the research team responsible for Mirova investment. By financing tangible assets and ensuring transparency on the destination of the capital raised, it allows issuers to diversify their investor base and investors to actively participate in financing energy transition. Mirova Environmental Europe Equity Fund is a thematic equity fund. It invests in shares of European companies that are positively exposed to environmental issues. The management team favours shares that provide innovative solutions covering three major themes: energy efficiency, food production cycle and water management. These companies have sustainable business models and create long-term value.